Here at VERCIDA we conducted research to find out how our clients are tackling BAME in the workplace. Who is going the extra mile to ensure equality, opportunity and fair treatment for all, irrespective of race. Here are our top 10 BAME-Inclusive Employers of 2018. With ambitions to be the most inclusive retailer, Sainsbury’s were proud to announce two of their staff featured in the Financial Times Top 100 Ethnic Minority Leader List in 2018. They also were named as one of the UK’s Best Employers for Race by Business in the Community. Sainsbury’s BAME initiatives have helped to increase representation of their BAME staff. The retailer offers mentoring circles to share knowledge and experience as part of a group. To find out more about diversity and inclusion at Sainsbury's click here. NBCPA aims to promote equality and diversity within the CPS and wider Criminal Justice System. They support and develop members, providing a training programme which aims to promote excellence. Membership of the NBCPA is open to all employees. MSN is a support network for CPS employees, which also aims to improve understanding of faith in the workplace and inter-faith shared values. Additionally MSN has an outward-facing role, working to improve confidence with the Muslim communities the CPS serves. To find out more about diversity and inclusion at CPS click here. The REACH network connects, supports and develops colleagues from an ethnic minority background. This network has continued to grow, and now has over 3,000 members. REACH held a number of events and mentoring workshops for colleagues in 2018. One of the goals of the REACH network is to improve cultural awareness and understanding across our workforce. The network issues a monthly cultural awareness communication to members and supporters across the Group, highlighting festivals, celebrations and important cultural events in both religious and secular calendars. Royal Mail has a diverse workforce in terms of race and ethnicity, reflecting the communities in which their people live and work. Royals Mail’s Thrive Campaign promotes awareness regarding the diverse mix of individuals that the organisation has and also commemorates the success of their colleagues coming from varied backgrounds. 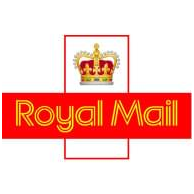 To find out more about diversity and inclusion at Royal Mail click here. The Cabinet Office Race Equality group (CORE) actively engages with and receives the full support of the Executive Committee - to achieve a diverse and inclusive workplace. The Cabinet Office Race Equality (CORE) network exists to support an ethnically diverse and inclusive Cabinet Office. The network aims to provide information on development opportunities and support in pursuing them as well as to provide a space where people can connect with each other and raise any issues. To find out more about diversity and inclusion at Cabinet Office click here. The BBC Black and Asian Forum (BBAF) is an employee network led by staff providing peer support, networking opportunities and a focus for discussion of BAME related issues. Now in its third year, the BBC Clore Leadership Programme is a 12-month programme aimed to increase representation of BAME employees in the leadership of arts, culture and broadcast industry. Run in conjunction with BBAF, RISE (Real Inspiration for Staff at Every level) is a mentoring programme to inspire and develop the talent of Black and Minority Ethnic staff in junior to middle grades. The BBC has partnered with Creative Access for a second year with 25 trainees (all graduates from BAME backgrounds) for a 12-month supported traineeship with on and off-the-job training and development in production. The BBC has partnered with the London-based Mama Youth Project for four years, offering BBC Academy training and month-long placements to young people – who join the BBC after 13-week training programme at Sky. To find out more about diversity and inclusion at BBC click here. Reed Smith has a number of programmes in place that focus on young people of these ethnicities and aim to address this imbalance. Members of BITC’s Race for Opportunity campaign. Work alongside universities with high ethnic-minority representation, in particular Queen Mary University of London, with which we partner on the Queen Mary Legal Advice Centre and other initiatives. Work closely with the BLD Foundation and their Legal Launch Pad (LLP) Programme. Take part in yearly TARGETjobs Events’ City law for ethnic minorities, an event designed to give university students from ethnic-minority backgrounds a taste of life in a City law firm. Members of NOTICED (Networking Opportunities to Integrate, Celebrate, and Educate on Diversity) an inter-firm initiative that promotes diversity and multiculturalism in the legal sector. Part of the Legal Social Mobility Partnership (LSMP). LSMP is run in conjunction with the social mobility initiative PRIME. Work with the London School of Economics’ Widening Participation Programme. Sponsors of the Law Society’s Black History Month. Work with the Black Solicitors Network. To find out more about diversity and inclusion at Reed Smith click here. All staff feel fully included in the Bank family. The Bank celebrates the cultural diversity of its staff. Ethnic Minority staff are empowered in their roles and the Bank will help them develop, progress and realise their potential in their Bank careers. Those outside the Bank perceive the Bank is inclusive and empowering for ethnic minorities. To find out more about diversity and inclusion at BOE click here. Muliticulture@Sky – celebrates all of their difference. And focuses on building an environment where people from a black and minority ethnic (BAME) background can achieve their potential. Employee networks help them and their people to succeed by connecting communities and empowering everyone to be themselves. As a result they encourage their networks to support and inspire their members and continue to make Sky a great place to work. To find out more about diversity and inclusion at SKY click here. Equality, Diversity and Inclusion are crucially important to UK Athletics, with the organisational values - Respect, Accountability, Communication, Quality and Integrity - at the heart of everything they do. Organising exhibitions, called 'COACH', celebrating the contributions of black and Asian athletes and coaches, both past and present, from grassroots to elite level. Formed in 2017 with the aim of ensuring athletes’ voices are heard by UK Athletics’ Performance Oversight Committee and the UK Athletics Board are creating the ideal workplace for BAME. Their Colleague Action Group (CAG) is made up of representatives from each department who meet bi-monthly to discuss the ideas, views and opinions of employees. To find out more about diversity and inclusion at UKA click here.